The spelling of his surname changed throughout his life. George was baptised in Winchcombe on 27th April 1834 as the son of Jane Hobrough, widow. At the time of the 1841 Census in Winchcombe George Holbrow was aged seven and living at Footbridge with his mother, Jane Griffin who was described as an Agricultural Labourer. By the 1851 Census George Holbrook was an agricultural labourer aged 16 and living at Gloucester Street, Winchcombe with his mother, brother and stepfather, William Tarran (Jane’s third husband). In 1857 his wife’s stepmother recorded their marriage in her Bible as George and Jane Holbrow. At the 1861 Census the spelling had changed again! George Howborough was aged 26, with his wife Jane, 28, and their sons John, 3, and Charles who was one month old. At the 1871 Census of Winchcombe - Footbridge area, George Holborough was an agricultural Labourer. At home was his wife Jane, his son John at 13 a Farm Labourer too, Charles, aged 11 and a Carter's Boy. 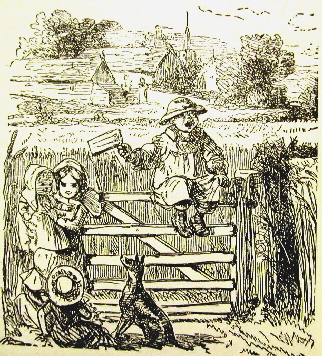 Mary Ann and Matilda were nine and five and scholars and Sarah was only 3. By the 1881 Census George Holbrough was recorded as 47 and still an agricultural labourer. At home was his wife Jane, his three daughters, Mary Ann, Sarah and Clara and his son George. Finally at the 1891 Census of Winchcombe, George Holborough gave his age as 55, and still a Farm Labourer; Jane gave her age as 58. At home with them were Clara, age 15 who was doing Factory Work and George who at 14 was a Farmers Boy. George Holborough died on the 8th of June 1891. He was actually 57. 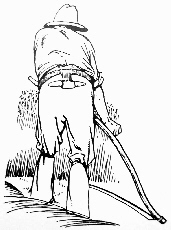 George was an Agricultural Labourer. This was a very poorly paid occupation. Within farm labourers, there was a difference in conditions between those workers who ‘lived in’, i.e., at the farm where they worked, and those who were ‘day labourers’ and had their own cottages. These received a much higher proportion of their wage in cash, so marriage was a practical possibility. But income was unreliable and labourers were often laid off when the weather was too bad to work outside. The cottager had more freedom in theory, but less security in practice and his income was seldom enough to bring up a family without spells of hunger and dependence on charity or poor relief. Farmers became less inclined to hire farm-help due to increased specialisation, which meant labour was needed at certain parts of the year and not others. It was not until the 1870's that the living conditions of rural labourers began to improve. The general cheapening of basic food prices from the late 1870's, together with accelerating migration off the land, (enabling wages to rise) and the increasing availability of urban shops, gave rise to higher living standards. For instance, meat could be eaten more regularly. Wherever pastoral or mixed farming provided regular year-round employment, farm service survived, and nearby industries offered competition for labour, which consequently pulled up the wages for agricultural labourers. 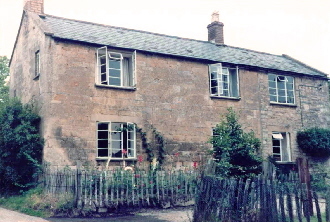 By the 1871 Census, the family had moved to Footbridge, a small hamlet on the edge of Winchcombe. (In 1841 there had been only five families living at Footbridge.) This was small and simple and may have been ‘tied’ to his job. i. John Holbrough, born 1858 in Winchcombe, Gloucestershire; died 1939 in Birmingham. ii. Charles Fredrick Holbrough, born 1859 in Winchcombe, Gloucestershire; died 24 Oct 1917 in Goole, West Yorkshire. iii. Edwin James Holbrough, born 1862 in Winchcombe, Gloucestershire; died 1865.
iv. 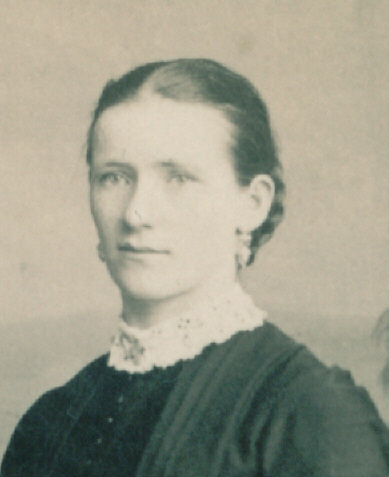 Mary Ann Holbrough, born 1864 in Winchcombe, Gloucestershire; died 18 Jan 1895 in Swindon, Wiltshire. v. Matilda Holbrough, born 1866 in Winchcombe, Gloucestershire; died in . vi. Sarah Jane Holbrough, born 1869 in Winchcombe, Gloucestershire; died 1940.
vii. Edward James Holbrough, born 1871 in Winchcombe, Gloucestershire; died 1872 in Winchcombe, Gloucestershire. viii. Clara Holbrough, born 1875 in Winchcombe, Gloucestershire; died in . ix. George Holbrough, born 1877 in Winchcombe, Gloucestershire; died 05 Nov 1918 in Aldershot. May God bless this school which is about to be built to his honour and glory. 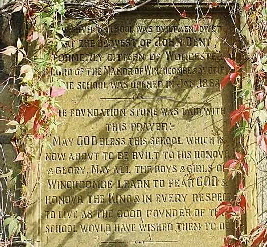 May all the boys and girls of Winchcombe learn to fear God and honour the King in every respect and to live as the good founder of the school would have wished them to do. Schooldays did not last for long. By the 1871 Census, Charles was described as a Carter's boy of 11, having left school. He may have still attended Sunday School; he was described by his daughters Lizzie and Ivy as having been very religious, but his formal schooling had come to an end. His wages would have been needed to help with the family income. Charles was still living at home with his mother, his father and brother John and three sisters His brother John at 13 was a Farm Labourer like his father, Mary Ann and Matilda were nine and five and “scholars” and Sarah was only 3. Rider Hagggard, Rural England 1902. By the 1881 Census for Winchcombe - he was still at Footbridge. George is now 47. Still an agricultural labourer he again gives his birthplace as Sudeley. At home is his wife Jane, now aged 48, his 3 daughters, Mary Ann aged 17, Sarah aged 12 and Clara aged 5 and his son George aged 4. Matilda is now 15 and working as a servant to the saddler, Richard and Sarah Castle on North Street. John and Charles no longer appear on the census for Winchcombe. Finally at the 1891 Census of Winchcombe George now gives his age as 55, a Farm Labourer born in Winchcombe; Jane gives her age as 58. At home with them are Clara, age15 who is doing Factory Work and George who at 14 is a Farmers Boy. His death was recorded as HOLBOROUGH, George, Footbridge, died 8 Jun 1891, age 53 - he was actually 57.